This article is about the prize awarded by the Royal Society of Chemistry, and previously by the Chemical Society. For other uses, see Faraday Prize (disambiguation). 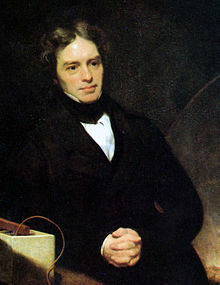 Michael Faraday (1791–1867), after whom the lectureship is named. ^ a b Faraday Lectureship Prize, Royal Society of Chemistry, retrieved 5 March 2010 . ^ Faraday Lectureship Winners, Royal Society of Chemistry, retrieved 5 March 2010 . ^ "Faraday Lectureship Prize 2016 Winner". Royal Society of Chemistry. Retrieved 4 September 2016.